Occupying the top position in the A3 series, the smartphone comes a long way from what you have on the others. Showing a gradual evolution in the series from the notchless Umidigi A3 to the notched Umidigi A3 Pro and then Umidigi A3 Max with the water drop notch. There is aa complete overhaul of the inside which now makes this smartphone a mid-range one rather than the entry level category the others were in. If is also the biggest of the trio, having a bigger display, battery, storage and most of th other things. 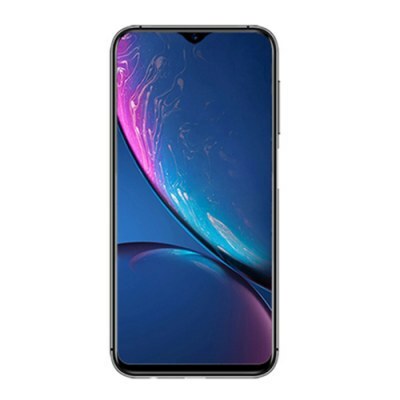 The smartphone is now bigger and quite more attractive especially with the water drop notch up front and the fact that it is.made of glass. In line with modern style, it has a 19.5:9 aspect ratio which makes handling the big screen much easier. Despite the bump in screen size, it is only 4mm taller than the Umidigi A3 Pro and the chin is just 4.25mm. A fan of big screen smartphones? The Umidigi A3 Max might just be your choice with its 6.2-inch LCD panel. As an incentive, there is also the beautiful water drop notch which does adds to the aesthetics on the smartphone. I would also like to inform that the screen has a Full HD+ resolution which is not at all bad for a mid-range smartphone. Alongside the bigger size comes an increased battery capacity considering the added functionalities on the smartphone. It carries a 4, 000mAh battery which is pretty much huge and should reach the night before it does off depending on usage. You still got the USB Type– port and it does feature fast charge for quicker charging. 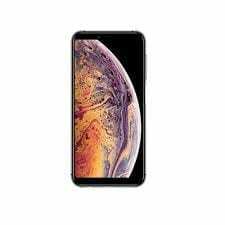 A significant boost have mad to the cameras featured on the smartphone even if it’s still the same sequence of dual rear and single front camera. The duo at the back is one 20MP autofocus camera and a 5MP depth sensors. Pertaining to selfies, that will be handled by the 16MP camera in the water drop notch. From four cores on the rest of the A3 series to eight cores on the Umidigi A3 Max. Although it is still the same MediaTek chipset, the MediaTek Helio P23 is quite an improvement on the MT6739 processor in the other members of the A3 series with a Mali-G71 MP2. Not only you would also be getting 4GB or 6GB RAM that’ll paired with 64GB and 128GB respectively. Also, there is the penultimate Android 8.1 Oreo and a MicroSD card slot for expansion up to 256GB.. The pricing has not been officially announced yet but it is set to cost about 75, 000 depending on the deal and your location.